When I can't find the right size container for flowers there is always the handy dandy soup can!! Sometimes it is just the right color and size for the flowers. Maybe not stylish but very functional. Or else you could just call this my Homage to good old AW !! 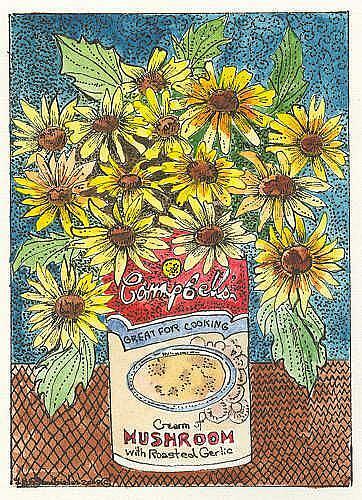 Wish I had one of those old soup can silk screens...that would pay for a lot of food and gas! !